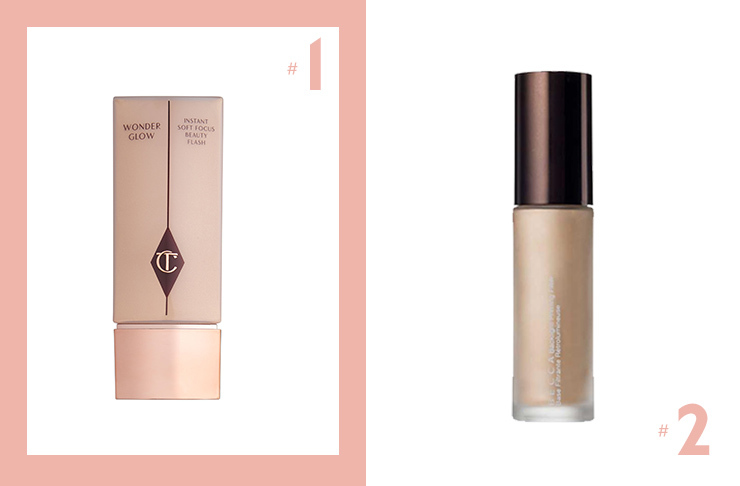 A flawless face always begins with a good base. 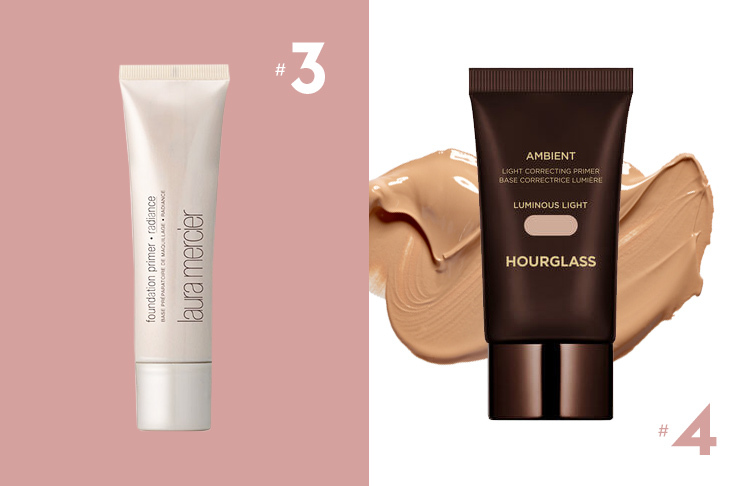 The right primer will smooth your skin, blur imperfections and create a perfect canvas for your makeup (or, even better, no makeup). Whether you want to boost radiance, disguise your visible pores or simply stop your foundation from sliding right off your face come 11AM, the good news is that, there’s probably a primer for that. British makeup artist (or makeup queen), Charlotte Tilbury is one of the most in-demand makeup artists worldwide. Wonderglow is one of her favourite products from her eponymous makeup line, and we can see why. It’s hydrating, glow-inducing and can be used on its own to revive dull, tired skin, underneath makeup to give it extra staying power or on top of makeup as a dewy, golden illuminator. Available online from Charlotte Tilbury. Smoother skin, check. luminous glow, check. Make-up that lasts from morning till night, check! BECCA’s Backlight Priming Filter is enriched with Vitamin E to hydrate skin while luminous pearls give your skin a just-did-a-juice-cleanse glow. Photoshop on demand. This Laura Mercier primer is loved by make-up artists the world over. It’s suitable for all skin types, tones and imparts a universal pearly tint that subtly blurs any imperfections and gives skin a lit-from-within dose of radiance. It also preps skin for makeup application which adds hours of staying power to your foundation of choice. Available from David Jones stores. When is luminous skin not in? This illuminating primer from Hourglass has a silky velvet finish and airbrushes tiny imperfections while adding an enviable layer of light to the skin. It’s perfect to wear on it’s own or underneath foundation or tinted moisturiser. New to primers? Not sure where to start? Mecca Cosmetica’s Soft Focus Smoothing Primer offers the best of many worlds of primer. From boosting skin hydration to blurring fine lines to improving the staying power of your makeup, this primer works overtime to make sure you can post that selfie filter-free. If your skin is inflamed, sensitive and left a little red, the last thing you want to do is irritate it further! That’s why Dermalogica’s Redness Relief Primer is on complexion rescue duty. This primer neutralises and calms skin while providing a sheer green tint to counter any redness. It’s also complete with SPF and Vitamin E to protect your precious skin from environmental aggressors. There would have been a time where we would have thought applying oil to our face to make our makeup last, would seem, well, a little counter intuitive. 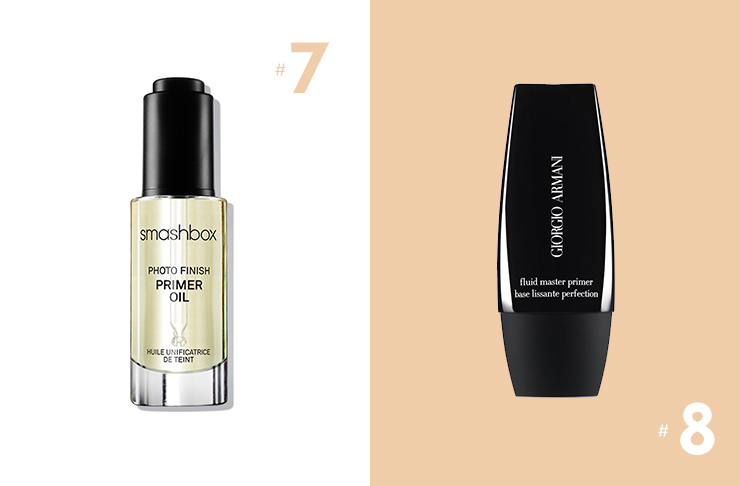 But the geniuses at Smashbox have proved us wrong and raised us the first ever oil primer. Designed to be applied like a serum post your skincare regime, this primer is incredibly lightweight and super nourishing, delivering a finish that is dewy, fresh and flawless. This primer from Giorgio Armani is a gel formula that dries matte. 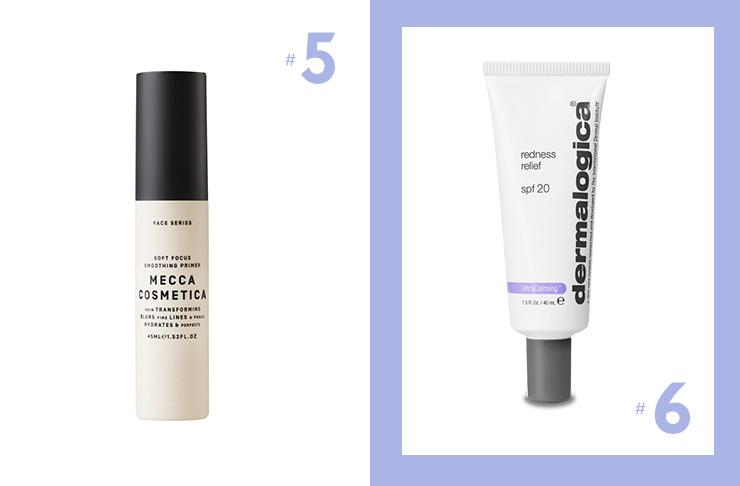 If shiny T-zones or oily skin are cause for concern, this primer is for you. Similarly, a winning option if you need your makeup to last. All you need is an ultra-thin layer of this clear gel and your skin will be instantly smoothed and prepped for perfect makeup application. Ready to put that perfectly primed complexion to good use? Check out our step-by-step guide on how to ‘strobe’ (it’s the new contouring, duh).